For those reasons, even if you’re desperate to buy an Android tablet, we’d advise you to hold onto your cash for the time being and see what the next few months bring. The Motorola Xoom ups the ante, without a doubt, but it isn’t everything that we’d been wishing for. Honeycomb is definitely a huge step toward making Android more tablet-friendly. But the keyboard still isn’t as easy to use as it should be, the web browser still doesn’t display all web content as well as it could (particularly Adobe Flash elements that haven’t been optimized for mobile devices), and most importantly, there just aren’t enough killer apps for Android tablets… at least not yet. As it's an early adopter of the Honeycomb operating system there aren't many apps available, but for browsing the web, catching up on TV and going through emails the Xoom is one of the best Android tablets we've seen. Overall, while the Motorola Xoom has some flaws, it is still a solid device. 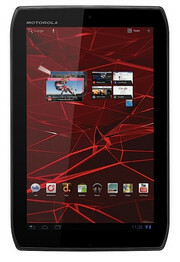 Honeycomb is a pleasure to use and the Xoom offers better overall functionality than the iPad 2. Overall the Motorola Xoom is one of the best tablets available on the market, featuring great performance, an efficient user interface and a good multimedia experience. However, the software is still a bit unstable, I had a few applications crash with error messages, the Facebook app for instance (which is buggy on Froyo as well) – but this could be the responsibility of the app developer, not Android or the device manufacturer. Hopefully things will get better with the next update. Personally, I prefer the iPad 2 for the design, the better user experience (with the exception of the disappointing camera) and the lower price. But others may prefer the Xoom for its customization capabilities, the ability to access Flash content in the browser, voice input for search and typing, the superior quality of the camera (software and hardware), the higher screen resolution, and the possibility to upgrade to 4G. 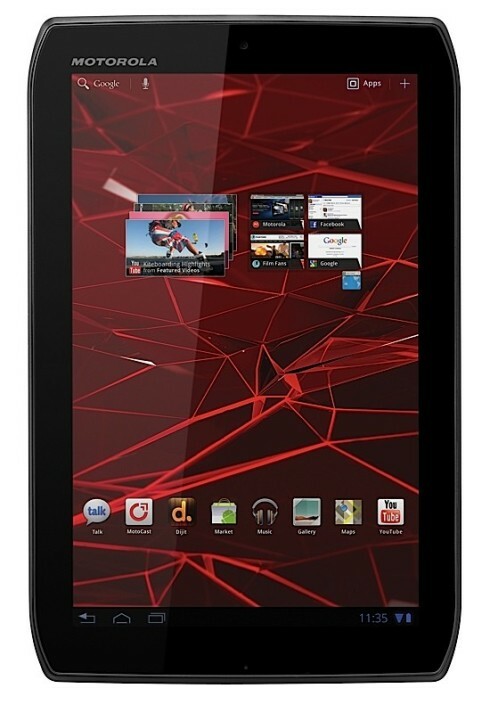 If you absolutely need to buy an Android tablet this week, then you should buy a Xoom. However, there is no real harm in waiting a few months if you can. Waiting until May or June means you can buy a Xoom with 4G and (probably) Adobe Flash 10.1 support, and there’s even a chance of the price dropping down from $800 (or $600 with a two year data contract) in that time frame because of all the impending competition. We hate waiting for new technology as much as the next guy or girl, but in this case it might be worth it. And as for iPad 2, well, we’ll know within a matter of days whether it makes both the Xoom and first-gen iPad obsolete. But for now, the tablet war is stuck in a deadlock. We’re loving the Xoom, and using it as our primary tablet—until we need an app that’s only available for iOS. However, I personally cannot find a use for the 10” tablet form factor in my life. For most activities that I currently use my smartphone for, it is simply too big to carry about, and the for more intensive tasks that I use my notebook for, I prefer a real keyboard. While you can connect Bluetooth keyboards to the Xoom, the added bulk gives little advantage over a notebook setup, especially considering the battery life of most modern notebooks. The price is another sticking point for me. $800 is a lot to justify for any mobile device, especially one who will probably be iterated on fairly soon. NVIDIA has already talked about the next Quad Core variants of Tegra being available in tablet devices by the end of Summer. While I continue to look forward to devices with Honeycomb, and future iterations of Android, I feel like the Xoom is not the device for me. Brilliant, beautiful and buggy, this giant leap into the future of tablets is everything the iPad isn’t. And that’s mostly a good thing. 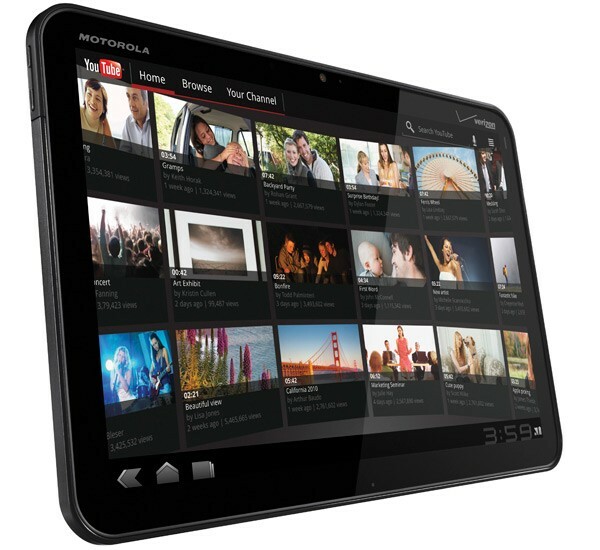 The Motorola Xoom has a lot of potential, I am really excited about the new interface, and the new apps. The screen is beautiful, albeit glossy, and the performance is fantastic. however, despite all the positives I think the release was a bit premature. This is made very clear by the fact that both Flash and the SD card slot are both not working in this release. The high price, and required 1 month of data are also big negatives in my book. Also if you are really looking forward the the 4G capabilities, it will be a huge negative to have to send it off to Motorola for the upgrade. The Motorola Xoom is well-conceived and well-constructed, but some rough edges, software crashes, a middling display and a high price may deter even early adopters. 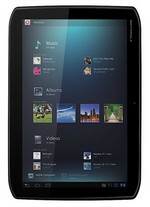 Until Samsung’s Galaxy Tab 10.1 and LG’s G-Slate reach shelves, the XOOM has the Honeycomb space all to itself. Still, neither Motorola nor Google can afford to rest on their respective laurels. The iPad 2 is expected to debut a mere week after the XOOM goes on sale, and considering the first-gen version is still the benchmark by which new tablets are measured, the second-gen model is only going to raise the table stakes. For those who want a more fully finished, polished experience, however, we recommend waiting for a future Android tablet — or the iPad. The Xoom is a credible contender, but it’s not quite on par with the market leader yet. 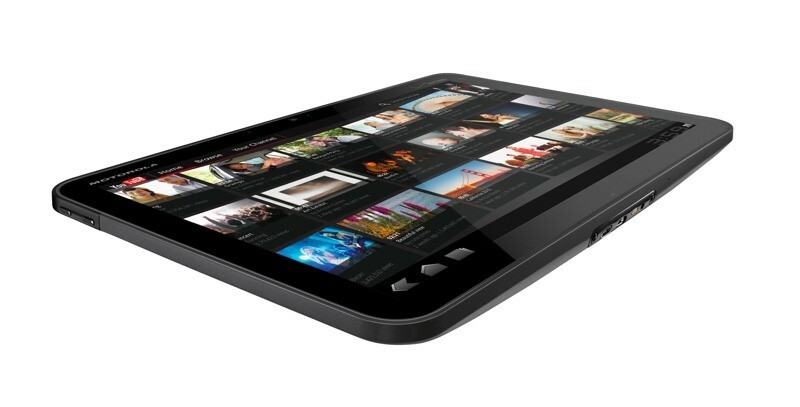 ZOOM ZOOM.The first 10.1" Motorola tablet goes by the name XOOM. Nothing could possibly go wrong, one would think. If Motorola applies their know-how from smart phones, touch interfaces and the Android operating system in the Xoom Tablet correctly, the Xoom should be one of the best sellers in summer 2011. The Motorola Xoom with Android 3.2 is an impressive tablet that is supports Adobe Flash 10.3 and has the potential to replace the PC for many people! 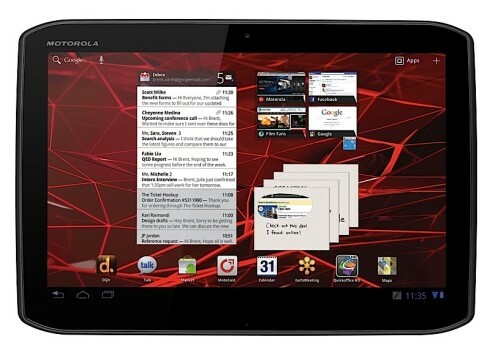 Despite these gripes, we like the Motorola Xoom. It’s well made, the hardware is powerful and battery life is good. Before you rush out and buy one, though, we’d urge you to pause and consider a couple of things. First, the price is a little high. In numerous areas – the screen, the apps and the slick performance – this tablet lags behind the iPad 2, yet it costs exactly the same amount. Second, for all that’s good about the Xoom, it isn’t the only Android 3-enabled tablet around. Asus’ 16GB Transformer (see p48), for example, is cheaper, boasts a better screen and is slightly slicker in use. For those reasons, even if you’re desperate to buy an Android tablet, we’d advise you to hold onto your cash for the time being and see what the next few months bring. The Motorola Xoom ups the ante, without a doubt, but it isn’t everything that we’d been wishing for. 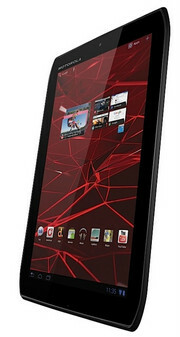 The Xoom is a fast and capable Android tablet but a few annoying issues and a high price tag stifle its appeal. This leaves a couple other strictly Wi-Fi, Honeycomb tablet options. The Asus Eee Pad Transformer TF101 (3.5 stars) is cheaper no matter which model you get, the 16GB ($399) or the 32GB ($499). It also has a great keyboard-with-trackpad dock accessory that snaps on and folds the tablet into a makeshift netbook, though it costs $149 extra. The Acer Iconia Tab A500 ($449, 3.5 stars) is quite similar to the Xoom in many regards, but its $450 price tag only gets you 16GB—but if that's all you need, it's obviously a better deal. 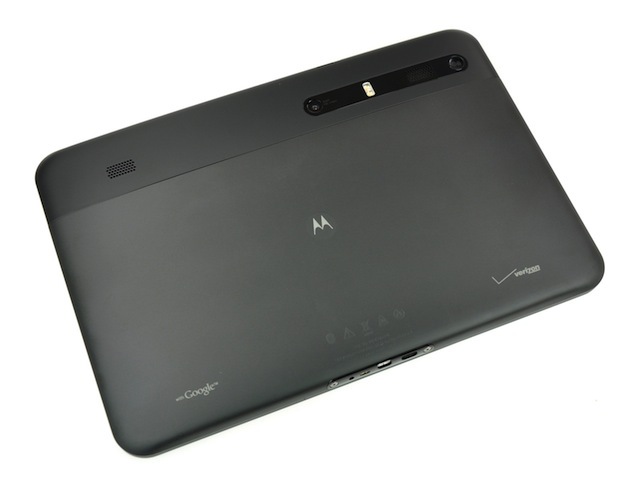 For a deeper dive, read our Motorola Xoom review, which discusses the tablet in greater detail. Everything you need to know about design, performance, the OS, and apps is there. The Motorola Xoom lacked key features out of the gate, but it has slowly addressed the majority of them, aside from the non-working microSD slot. The Xoom is beautiful, with an intuitive and customizable (though slightly redundant and cluttered) user interface, excellent screen quality, and some very useful apps and features, like Talk and the dual cameras with a built-in flash. Whether the Android Market will catch up to Honeycomb, however, remains to be seen. The Xoom lacks the app selection and overall grace that makes the iPad 2 the best tablet currently available. Furthermore, there are other Honeycomb tablets that offer more features, like the 3D-enhanced T-Mobile G-Slate with Google (by LG) ($629, 3.5 stars), or cost less, like the Asus Eee Pad Transformer TF101 ($449, 3.5 stars). After being first out of the gate, the Motorola Xoom has plenty of competition, and while it is a quality device, it does little to differentiate itself. Overall, the Xoom is a pretty solid tablet, however, the size and weight are more than what I personally prefer- other people I showed the tablet do didn’t mind that at all. I would recommend that you go play with one at your nearby Axiom store to get a feel of it. Priced at AED 2699, the Motorola Xoom is definitely a decent competitor to the iPad- especially for a geek that likes to tweak their system. Luckily the Xoom's own cameras capture reasonably good-looking footage. Clips look much crisper and sharper than the iPad's miserable little cameras, which admittedly isn't difficult. Footage captured in low-light conditions is quite grainy and the dual LED flash only helps so much. You'd still get better looking results from a recent HD Flip camera, but it'd good enough in a pinch even if using a tablet as a camera feels very conspicuous. Despite the weight, despite the price, despite everything, the Motorola Xoom has the power to move me. It feels so solid and performs so reliably that I increasingly find myself using it in preference to my iPad 2 whenever Apple compatibility is not an issue. The problem is that it’s an intellectual love affair. While I adore my iPad, I admire and respect my Xoom. After everything, the Xoom 2 is against all odds, a fairly decent Android tablet. Yes, it does have some flaws, but compared to the original this is a welcome upgrade. If Motorola can finally get around to pushing ICS to the Xoom 2, then it might actually turn a few heads. As it stands, the Xoom 2 is a capable tablet that is held back by the limited storage and sluggish OS. That leaves us in a quandary. This is undeniably the most physically desirable Android tablet we’ve used, but is it a better all-round choice than the excellent Samsung Galaxy Tab 10.1? That leaves us in a quandary. This is undeniably the most physically desirable Android tablet we’ve used, but is it a better all-round choice than the excellent Samsung Galaxy Tab 10.1? It’s a very close call, but with similar prices, we’d argue the faster internals, superb ergonomics and IR emitter just about make the Xoom 2 the better buy. Built like Hadrian’s Wall and likely to last just as long, the Panasonic CF-53 Toughbook is perfect for anyone who wants a laptop for use beyond the office and domestic bliss. The bright non-reflective screen is ideal for outdoor use and the chunky battery means you won’t be forever searching for a power socket. For the price though, I’d really like to have seen a standard-fit webcam, a backlit keyboard and maybe even a 3G modem. The Xoom 2 has an extremely tough fight on its hands to remain relevant in an increasingly crowded market. Motorola has made it thinner, lighter and faster than the original Xoom, but it is running outdated Android software and has sluggish performance. Sadly, the Xoom 2 does little to justify its expensive price tag. The Motorola Xoom 2 is one of the best Android tablets currently available — it’s stylish, well made and packs a performance punch. It’s not without its foibles and the specification changes from the previous model don’t make much sense, but it’s still one of the more viable alternatives to the Apple iPad. With the Xoom 2 Media Edition retailing at £329, it is £50 cheaper than the larger 10in Xoom 2 and £70 less than the entry-level iPad 2. Considering that the 8.2in device has almost identical specifications to the Xoom 2 and is more portable we prefer this one of the two, despite it having a shorter battery life. However, the iPad 2 is still the better device when it comes to performance and the quality of applications while users who want a 3G tablet and Android 4.0 Ice Cream Sandwich out-of-the-box might want to wait for the Asus Padfone. Excelling where its 10.1-inch sibling faltered, the Motorola Xoom 2 Media Edition is a premium product that combines a strong specs offering with a well styled, comfortable and reassuring form factor and a strong user experience. This is easily one of, if not the best, sub 10-inch Android tablet on the market and had Motorola been able to bring this level of quality to its 10.1-inch Xoom 2 we can’t help but think the iPad might finally have had some decent competition. The combination of a small, tough and light body and a 8.2in 800 x 1280 screen results in a fine little tablet. The display is pin sharp for gaming, viewing video or images, while the shape and weight make it an excellent e-book reader. It may not be the most powerful Android device on the market but at this precise moment in time, it’s the tablet I’d buy. 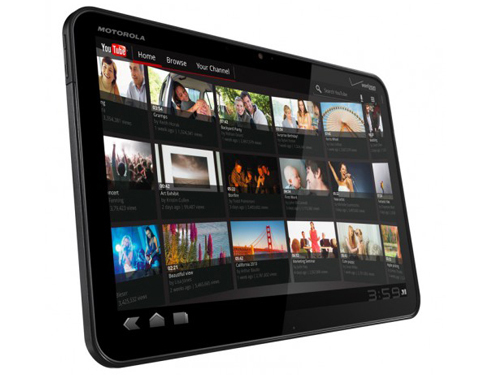 In all, the Motorola Xoom 2 Media Edition is a competent tablet. It’s attractive and quick, the screen quality is good and there are some useful added extras. Its slenderness and light weight means it’s more portable than any 10in tablet, and for our money, the slightly larger screen means its more usable than the 7in ViewSonic ViewPad 7x or the Acer Iconia Tab A100. A powerful, light and beautifully designed tablet with long battery life, although it lacks the usual expansion potential. The second Motorola Xoom 2 is much thinner and lighter than the original. The screen is better and the processor more powerful. However, there's an element of treading water to the design as it doesn't improve upon more recent rivals much. An IR transmitter, inbuilt printing function, MotoCast and a few secure business options make for some interesting potential uses but for the average consumer these aren't overly compelling. A relatively staid approach, when combined with the non-expandable memory and fairly high £380 price, ensures it can't topple the greats, and won't sway many iPad 2 owners-to-be. The Xoom 2 is a decent enough machine that looks great and feels good in the hand, but it’s no major leap forward from the original Xoom. The extra 200MHz of chip speed has little measurable impact on performance. And with Tegra 3-based offerings out early next year, Motorola is going to have to price the Xoom 2 very competitively. A solid Android experience, impressive build and and the promise of Android 4.0, but clunky browsing lets the Xoom 2 down. We're moderately impressed by the Motorola Xoom 2. Certainly we like that Motorola has pretty much thrown the kitchen sink at the thing in terms of features. Yes, there's the lack of 3G and expandable storage but the IR transmitter, stylus, range of connectivity and software extras add up to a very capable machine. So long as the software instability issues are ironed out, and particularly if the screens improve a little more, this could be a real contender. Especially as it's reasonably competitively priced at £379.99. We'll be back for a full review later this month when the tablets hit the market. As with the its larger sibling the Xoom 2, we mostly like what we see with the Xoom 2 Media Edition. It's well built and easy on the eye while packing in all the essentials in terms of connectivity and other physical features. The lack of 3G and microSD expansion on this model is a bit of a shame but for its £329.99 price these seem like reasonable compromises. That said, you get a lot more tablet with the normal Xoom 2 for only £5 more. Motorola may be unsure about who will want the new Xooms, how much storage they should offer, or whether they should incorporate 3G, but of the migration to ICS it is certain. Motorola: The original company Motorola Inc was split in 2011. Motorola Mobility got the smartphone range and was taken over by Google in 2012 and by Lenovo in 2014. The Motorola smartphone brand continues for the time being. There are still a lot of reviews on Motorola Mobiles with average ratings. NVIDIA GeForce ULP (Tegra 2): In Tegra 3 SoC integrated ultra low power GPU. Depending on the model clocked at 300 to 400 MHz. unknown: » Further information can be found in our Comparison of Mobile Graphics Cards and the corresponding Benchmark List. 74.97%: This rating is bad. Most notebooks are better rated. This is not a recommendation for purchase.» Further information can be found in our Notebook Purchase Guide.